Inside Redbox is the #1 "Unofficial" Redbox Online Community for Redbox Codes, News and more. Inside Redbox is not affiliated with Redbox Automated Retail, LLC. New to Inside Redbox? Stay up-to-date on the latest Redbox Codes, news and more. Subscribe to "Insider Updates" (see form on the right) and/or to the RSS feed. « Freebie Friday “Rock Pics” Edition: Win a Free Redbox Gift Card! Freebie Friday “Cumberbatch” Edition: Win a Free Redbox Gift Card! Every week, we offer our readers an opportunity to win free prizes. This week, we’re giving away a Redbox eGift card to a lucky winner! Benedict Cumberbatch, that ever-so-Britishly named actor, has a new movie coming out this weekend: The Grinch. Let’s talk about our favorite flicks featuring this famous thespian. Enter this week’s contest by answering the following question in the comments section. What’s your favorite Benedict Cumberbatch movie or show? Again, answer this week’s question simply by entering your email above, and then hit up the comments section and tell us your choice. You can also earn extra entries by sharing this giveaway via Facebook and Twitter! The giveaway ends on Sunday, and the randomly chosen winner will receive a free Redbox eGift card. He’s great in Sherlock Holmes!!! It’s hard to vote against Sherlock! Don't miss out on Free DVD Rentals and other goodies! Freebie Friday “Another Star War” Edition: Win a Free Redbox Gift Card! 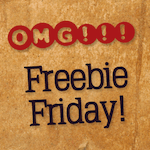 Freebie Friday “Ferrell” Edition: Win a Free Redbox Gift Card! Freebie Friday “Transformers” Edition: Win a Free Redbox Gift Card! Becky Hixson commented on Freebie Friday “Another Star War” Edition: Win a Free Redbox Gift Card! When it comes on DVD! Too expensive in theaters for me. strongman14624 commented on Freebie Friday “Ferrell” Edition: Win a Free Redbox Gift Card! Elf by a long shot!!! Dave commented on Freebie Friday “Another Star War” Edition: Win a Free Redbox Gift Card! definitely! panflash commented on Freebie Friday “Another Star War” Edition: Win a Free Redbox Gift Card! Yep. I've seen them all. steve cowan commented on Freebie Friday “Another Star War” Edition: Win a Free Redbox Gift Card! probably or maybe I do not know for sure. Copyright © 2005-2019 Inside Redbox. All Rights Reserved. Inside Redbox is an independent website and is not affiliated with Redbox or Coinstar. Redbox is a registered trademark of Redbox Automated Retail, LLC.